A border wall will not stop illegal immigrants. This year started with the wrong foot. The government shutdown was longer than anyone expected. It was the most extended shutdown in the history of the US. The point of this shutdown was President's Trump project: a wall on the border between Mexico and the US. 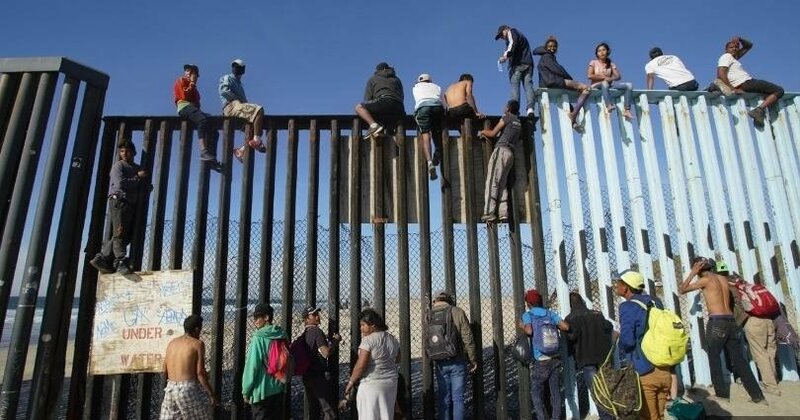 Since the first day he had the idea of running for the presidency, President Trump stated that a wall would stop the problem of illegal immigration. He also affirmed that Mexico's government would pay for the border wall. It has been three years; there is no wall and no budget for it. Last week was the "State of the Union;" President Trump insisted on the importance of the border wall and he supported his idea showing some cases of illegal immigrants who hurt some Americans last year. I do think we need to check our immigration laws. Immigration laws and procedures need to be updated to our times and fixed. For example, we need to resolve the problem of illegal immigrants because not all of them are criminals (they are not); we have over twelve millions of people who do not pay taxes. I think this country is missing much money without these taxpayers. I am not an immigrant, but I am Latina. I grew up in Latin America; I know the Latin American way to live, work, love, fight and do things. I am able to say that a border wall will not stop illegal immigrants. 1. Latinos find their way. Living in Latin America is more complicated than living in the US. There is more poverty, crime, bureaucracy, parties and holidays. It is a wilder life. Do not get me wrong; I am not saying it is a bad life; actually, it is a funny life. My point is, in Latin America, we learn how to get our goals no matter what the obstacle is. 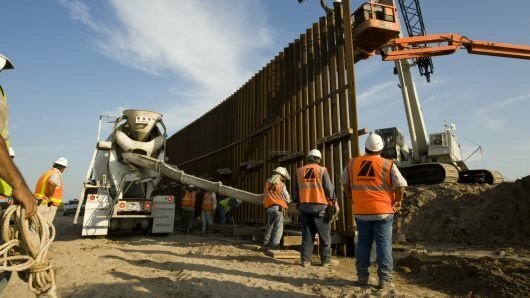 If the US builds a border wall, Latinos will find a way to pass the wall. It could be by tunnels, stairs, jumping, flying. Our imagination is unlimited. If I could advise President Trump, I will suggest for him to have a native Latina American in his council. 2. We have a border fence. I think we forgot our border has some protection. 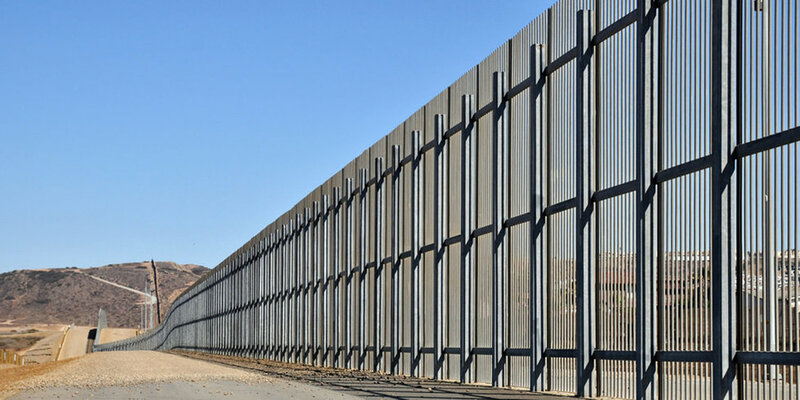 It is not a wall, but it is a fence, an important form of containment. It is not easy to pass it. It has guards and its height is between 18 and 26 feet. Let's face it; before we build any wall, we need to check what is or is not working with the fences we have. Something is not working when we have thousands of immigrants passing our border. 3. We have other priorities. The twelve millions of illegal immigrants who are living in the US are not only Hispanics nor entered walking from Mexico. There are more ways to become illegal. There are cases of people who got any visa or a person who was approved by an American embassy. If we want to change the number of illegal immigrants, we need to first check our laws, procedures and the most important, we need to establish what we are going to do with twelve million people who are living in the US. People who cannot deport because it is too expensive. A border wall is too expensive. Our country does not have the resources to build something that is not going to stop the problem. I want to add; the administration who wants to build the wall is the same who lost track of over 1500 immigrant kids who were in their custody. You can or cannot support President Trump. The idea of a border wall is more significant than your political party. We are talking about our money, our border, our environment. We cannot afford a failure of this magnitude.